Bringing together Durgnat's essential writing for the very first time, this career-spanning collection includes previously unpublished and untranslated work. Bringing together Durgnat's essential writing for the very first time, this career-spanning collection includes previously unpublished and untranslated work. 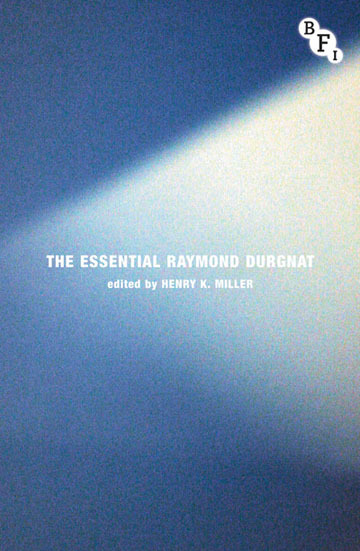 Raymond Durgnat was a maverick voice during the golden age of film criticism. From the French New Wave and the rise of auteurism, through the late 1960s counter-culture, to the rejuvenated Hollywood of the 1970s, his work appeared in dozens of publications in Britain, France and the USA. At once evoking the film culture of his own times and anticipating our digital age in which technology allows everyone to create their own 'moving image-text combos', Durgnat's writings touch on crucial questions in film criticism that resonate more than ever today. Bringing together Durgnat's essential writing for the very first time, this career-spanning collection includes previously unpublished and untranslated work and is thoroughly introduced and annotated by Henry K. Miller.